Roger's Trip to Instanbul, by Roger Bourke White Jr. This week was Lunar New Year week throughout East Asia. It's not a time to be traveling around Korea, unless you like sitting in traffic. I don't like sitting in traffic, but rather than sit on my behind in Suwon for a long week, I decide to sit on my behind on planes and buses in Istanbul, Turkey. Why Istanbul? 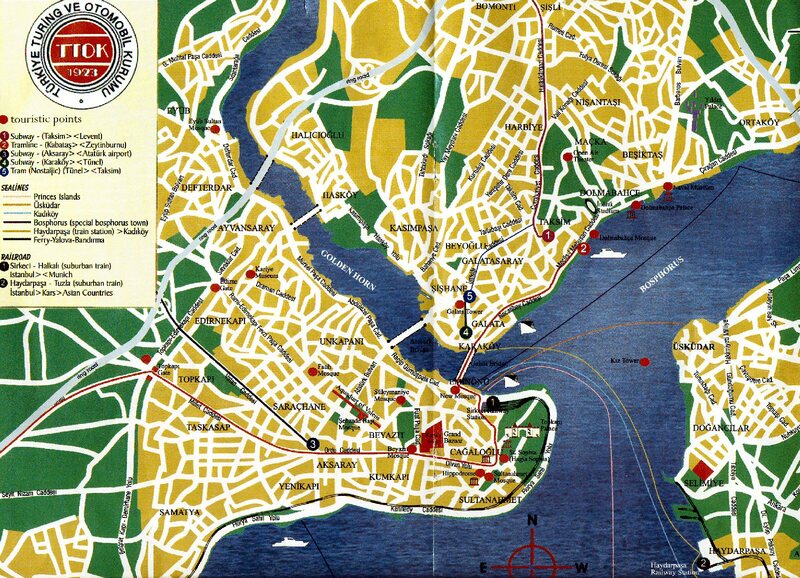 Because I've never been to the Asia Minor area before, and Istanbul has a lot of history in it. So, on Monday (11 Feb 05) I hopped on a Turkish Airlines plane and made a non- stop journey across Asia to Turkey. This was a 12 hour flight -- the same as Seoul to San Francisco. We didn't go great circle route, which surprised me. First we flew to the Beijing area, then followed the Silk Road across western China, zigged north over the Aral Sea, then zigged south over the Caspian Sea, Baku, and Turkey (not over the Black Sea). Why all the zigging and zagging remains a mystery. I'm guessing that if the plane loses engine power, the pilots want to keep it within gliding distance of long-runway airports, but that's just a guess. 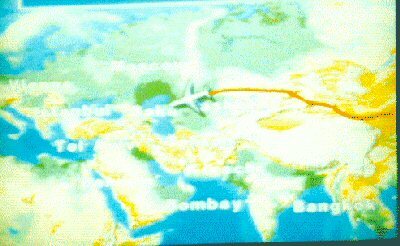 The route from Seoul to Istanbul, as shown on the in-flight TV screen. We passed over the Silk Road in China, and Aral Sea in Russia. 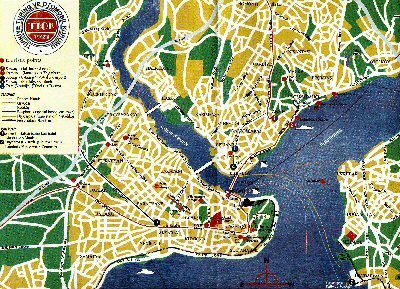 The Sultanahmet district is quite walkable, so a hotel there will let you see the most historic parts of Istanbul with little difficulty getting around. Traveling "ultra light" worked. Even with the catastrophe of the pickpocket attack and losing my passport, I got along just fine. The Turks are a very community-oriented people, much as the Koreans are. The Turks will take more "cheap shots" to squeeze money out of you than the Koreans will, and this is annoying. Taxi drivers and pickpockets were the worst offenders in this regard. Coming during the off season was a good idea. The local people were much more relaxed. It was cold, but with all the walking I was doing, cold was much better than warm or hot -- I was comfortable. Turkish food is quite tasty.